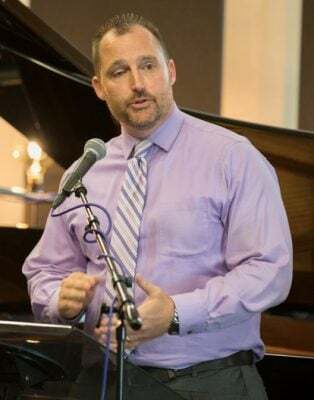 Dr. Randall Downs was surprised he hadn’t heard of the Canyon Worship albums before he became the Worship Arts Coordinator for the College of Theology. “I started listening through them and I thought, ‘Well, I should’ve heard of them because these are phenomenal CDs,’” he said. Determined to make sure other people outside Grand Canyon University don’t miss out on the music written and performed by Center for Worship Arts students, Downs had an idea: Take the musicians to the community. Dr. Randall Downs had an idea — have the Canyon Worship 2018 artists perform at a local church. They’ll do just that on Oct. 16. So his first major initiative in his new job is Canyon Worship West, a 90-minute presentation of all 10 songs on Canyon Worship 2018. It’s scheduled for 6:30 p.m. Tuesday, Oct. 16, at Harvest Bible Chapel West Valley, 9700 N. 91st Ave., Suite 120, in Peoria. It’s an idea similar to what Downs witnessed during his time at the University of Mobile (Ala.), where he double majored in music and worship. “It generates a lot of buzz about the University, the program, what God’s doing there,” he said. “Even people who aren’t even going to go to school there get excited because they see what God’s doing. It just seems like a no-brainer. He’s certainly excited about it. The Canyon Worship albums have become the most high-profile Worship Arts project – the students also perform at a Showcase event near the end of each semester, but the album is what the public hears. This year’s album is available on iTunes, Google Play, Spotify and Shazam, and the CD version is being sold in the Lope Shop on campus. CDs will be available at Canyon Worship West as well. 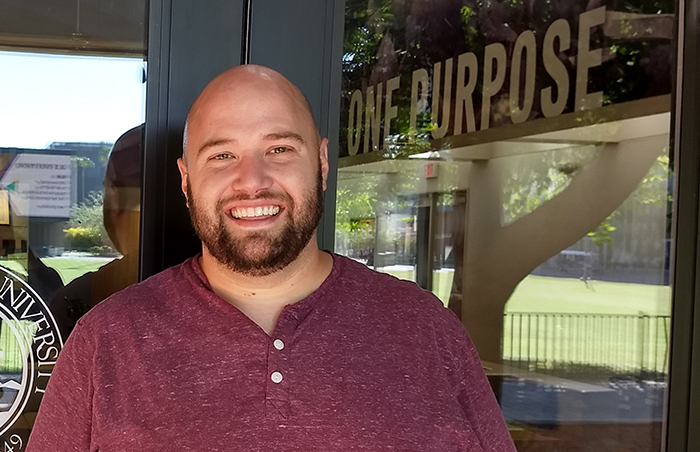 “The hope of connecting Canyon Worship music more directly with local churches has been part of the vision for the album since we produced the first EP,” said Dr. Jason Hiles, dean of the College of Theology. “We’ve always intended to bless local churches with music that is artistically excellent and theologically sound, which is what people have come to expect from Canyon Worship albums. College of Theology Dean Dr. Jason Hiles loved Downs’ idea — and loves where the Worship Arts program is going, too. It has been a whirlwind few months for Downs. In fact, he had a hurricane-like month last spring. On May 11, he earned his doctoral degree. On May 26, he got married. 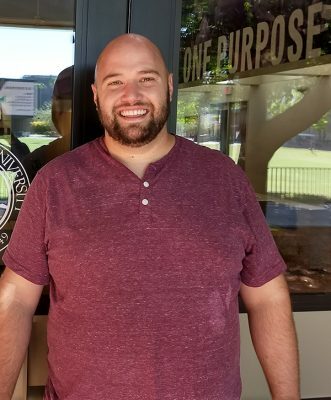 On June 11, he started at GCU. Amid all that, he was involved with planting a church and is a co-founder, singer, songwriter and guitarist for Loser’s Way Home, a folk group based in Anthem. Now he’s busy in his new role, and he has inherited a program that is thriving. “The Worship Arts program has grown and developed over the past four years in ways that have exceeded my expectations in many ways,” Hiles said, “especially when I see the level of talent among our students and the passion for Christ-honoring worship that our graduates take with them into local churches. “But in many ways we’ve only begun to scratch the surface, considering all the potential at stake for a program like this. When I met Randall and began talking with him about who he is, what he brings to the table and what he thinks is possible for a Worship Arts program like ours, I was convinced that God had provided the leadership we need to move to the next level. “Randall works hard, knows how to lead worship within the context of a local church and happens to hold a Ph.D. His musical ability is exceptional, and he just happens to be very enjoyable to hang out with and talk to. There’s no doubt that he brings the right combination of skill, ability and knowledge to the Center for Worship Arts. And he’s already implementing his first big idea: Canyon Worship West.